Aleppo pepper is available from good supermarkets, spice stores and middle eastern grocers. 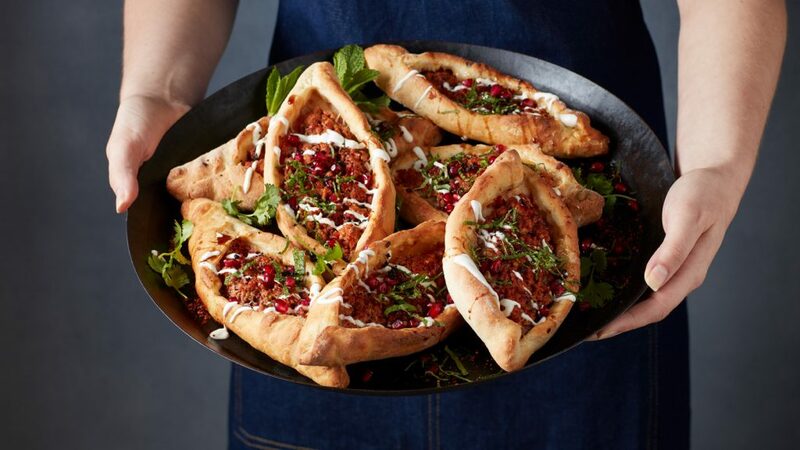 These Middle Eastern Lamb Pizzas are a delicious treat that the whole family can enjoy. Also known as a lamb pides, they make a wonderful dinner or an afternoon treat. To make the dough, in a mixing bowl, dissolve the yeast into water. Using a stand mixer, combine flour and salt in the bowl with a hook attachment. Commence on a low speed, and add the water slowly. Increase the speed slightly and allow to mix until smooth. This should take about 5-8 minutes. Cut dough into 120g balls and place on a floured tray. Cover and allow them to prove in a warm place until they are double their size, about 20-30 minutes. Meanwhile, combine remaining ingredients in a bowl, mix well and place through a mincer with the smallest dial available. When the dough has proved, on a floured bench and using a rolling pin, flatten the balls of dough in an oval shape to 2mm thickness. Shape into boat shapes and pinch the edges. When assembling the pizzas, add enough lamb mix to just cover the surface. Repeat this process with all the dough. Preheat oven and pizza stone to 200C. Cook pizza for 10 minutes until crisp on the bases. Drizzle with pomegranate molasses, scatter over mint and coriander and serve. Photography by Steen Vestergaard. Styling by Caroline Velik. Food preparation by Caroline Velik. 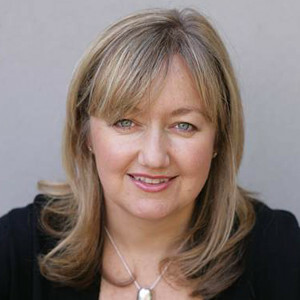 Caroline Velik is acknowledged as one of Australia’s leading commercial food stylists and has worked with many of Australia’s head chefs. As a food writer, she develops, tests and writes recipes, and has worked as Food Editor for a leading lifestyle magazine and as a regular, popular recipe contributor and columnist for a national newspaper. She is passionate about using fresh, seasonal ingredients to create delicious recipes that you will continue to cook again and again.